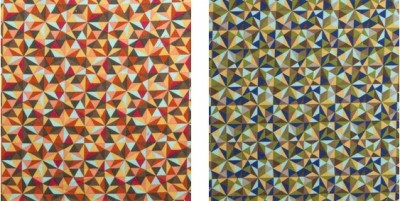 Maybe it’s because I designed a mosaic print for the current Lisette fabric collection, but I’ve been noticing a lot of mosaic prints in the fashion world lately. Here are a few that have caught my eye. I made a mosaic out of them! 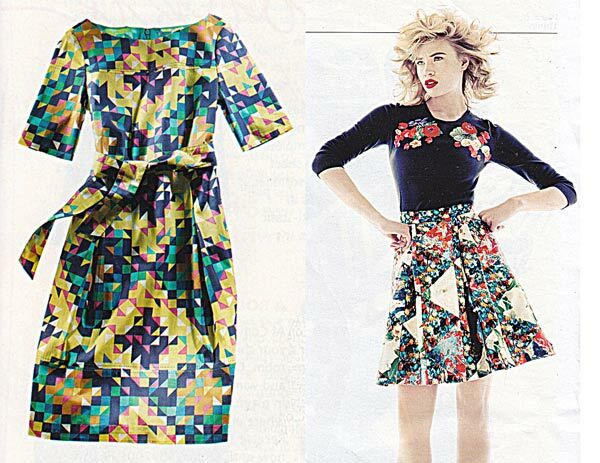 I think mosaic prints look great as a dress or a skirt, especially. 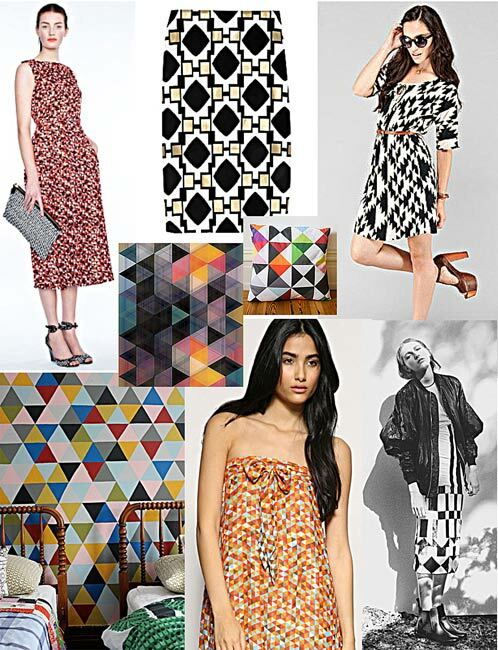 They make a terrific, graphic print with lots of color that’s broken up so it’s not too overwhelming. Best of all these versatile multicolor prints can coordinate with many items and you can pick any color in the print to highlight with your accessories. 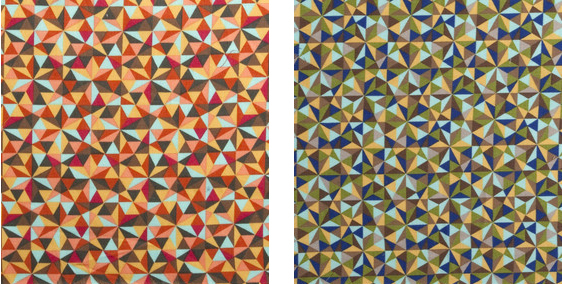 My personal favorite of the two Lisette mosaic prints is the warm-colored version with red and yellow. I like how it coordinates with my favorite warm-colored ikat print, too! I’ll be wearing my mosaic print Itinerary Dress this Friday, so I’ll show you how I style it up!